Hop, hop, hop, goes the Kangaroo. Who doesn’t get wowed by their inimitable style of motion, box-fighting and the cute kid living in the mother’s pouch? Kids love Kangaroos! A young Kangaroo is called Joey and when they are born, they are just the size of a peanut with no eyes & limbs! They live in their mother’s pouch drinking her milk as they develop their body and come out when they are a little older. A Kangaroo mother is a doting one and takes care of as many of three multiple young ones at the same time. Mothers are so special, right? They so lovingly carry babies in their bodies and give them the nourishment they need to develop. Even after the baby becomes bigger, a mother never stops caring and loving for their little ones. We created this special Kangaroo Joey cute mother's day craft to celebrate motherhood. If you are looking for some cute and easy mother's day ideas, this craft makes for a fun mother appreciation card for young kids in preschool, kindergarten or early grades. Mother-child love is the best, isn’t it? This cute mother's day paper plate craft also makes a sweet handmade mothers day gift from kids. Join us on INSTAGRAM to get regular updates on new craft and printable ideas from us. We have added a FREE printable kangaroo template for our subscribers. 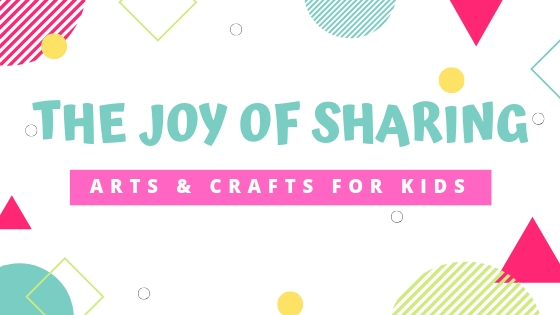 Don't forget to join our mailing list (link at the end of the post) to get exclusive access to lots of fun & free printables. We also made this 3D Flower Card , a lovely mothers day cards to make with kids. This easy and colorful mother's day card Idea is a perfect mother's day craft project for preschool and kindergarten. I love this Personalized Canvas & Easel mother's day gift that my daughter gave me on last mother's day. HOW TO MAKE PAPER PLATE KANGAROO CRAFT FOR KIDS? 1. Download and print the kangaroo template (link at the end of the post). Or you can draw the pictures yourself. 2. Color the mother kangaroo and baby joey. 3. Cut out the mother kangaroo and baby joey figurine. 4. Glue the mother kangaroo cut out on a paper plate. 6. Customize the heart that baby joey is holding with a sweet message for the mother. 7. Attach the baby joey cut out to a wood craft stick. 8. Carefully make a cut on the paper plate along the mother kangaroo pouch such that the craft stick attached to the baby joey moves comfortably through it. That's it. Your adorable kangaroo joey craft is ready for mother's day. Happy Mother’s Day and Happy Crafting! Easter is also around the corner. We have curated 24 CUTEST EASTER BUNNY CRAFTS FOR KIDS. Check out all the awesome Easter bunny craft idea to find a craft inspiration for Easter.